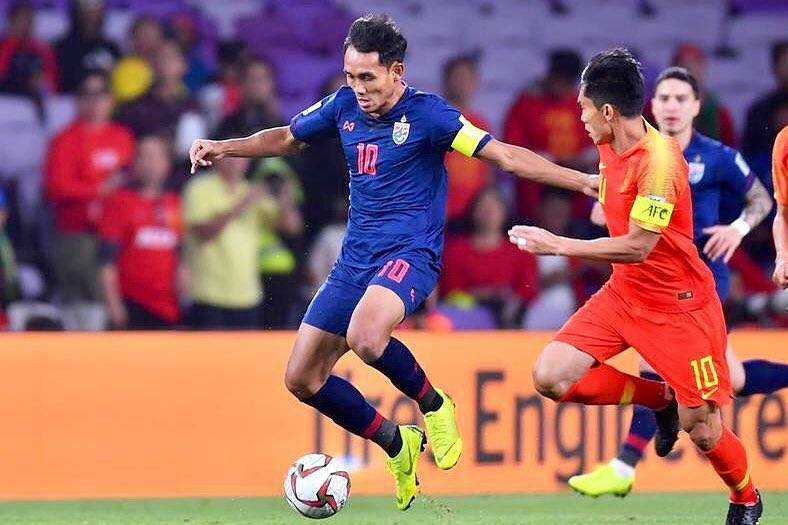 Just over two months after Thailand was eliminated at the hands of China at the 2019 AFC Asian Cup, the War Elephants have a chance to avenge their defeat in a friendly match against Team Dragon. The 2019 AFC Asian Cup in the UAE was a tumultuous tournament for Thailand. Coach Milovan Rajevac was sacked by the nation’s football association after their opening group stage match, which saw them suffer a humiliating 4-1 defeat at the hands of India. However, under the guidance of caretaker Sirisak Yodyardthai, the War Elephants were able to rebound with a victory over Bahrain and a draw against the hosts to secure their passage to the knockout phase. China stood in Thailand’s way in the last 16, after overcoming the Philippines and Kyrgyzstan to finish second in Group C. Young striker Supachai Jaided gave the underdogs the lead after half an hour, but Marcelo Lippi’s side fought back with goals from Xiao Zhi and Gao Lin to advance to the quarterfinals. Two months and a day after their heartbreaking defeat, Thailand travel to Nanning, Guangxi province for the 2019 China Cup. The War Elephants will begin their campaign against the hosts, who have since appointed former Italy captain Fabio Cannavaro to replace the retired Marcelo Lippi as coach. Meanwhile, coach Sirisak remains in the opposite dugout, hoping to hit back against the side that denied what could have been a remarkable victory for his country.